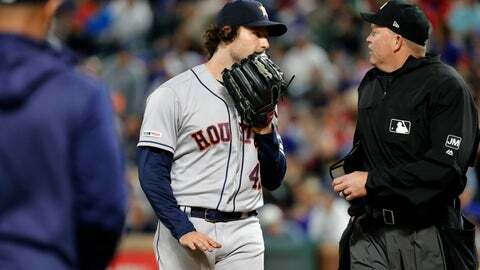 Meals said Kulpa had warned the Astros bench to “knock it off” and told Hinch that when he came out the first time. Nomar Mazara put Texas ahead to stay with a two-out infield RBI single in the first. Pence had a two-out RBI single in the fourth and scored on Ronald Guzman’s double. Mazara added a solo homer , his second of the season, in the eighth. Astros: RHP Collin McHugh (0-1) starts the home opener Friday night against Oakland.